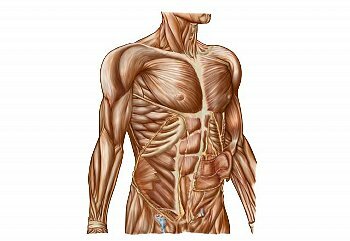 The core is a powerhouse of important muscles that help you carry out everyday activities, with more efficiency, and less injury. A strong core enhances sports performance, prevents athletic injuries, gives you good posture, and makes your back strong so that you’ll never have problems with debilitating backaches. A strong core keeps older people from falling, and equestrians squarely on their horse. The core is located within your torso. Think of your core like a sturdy tree trunk, immovable and very solid, able to withstand outside forces. 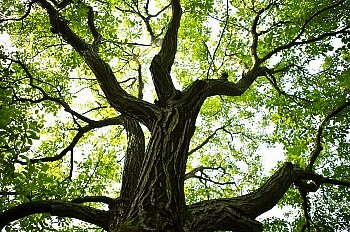 Strong trees have powerful resistance against winds, torrential rain, and snow storms. And in a way, you’re just like a sturdy tree when you develop the muscles of your core. In basic terms your core is made up of your abdominal, back, hip and backside muscles. Working together they give you the upper hand at life’s chores, and activities. All movement travels through your core, the center of your body. A sturdy core keeps you from getting injured, gives you superior posture, and enhances the way the look, feel and breath. For more information about core exercise, read the following posts, Core Exercise For Equestrians, Ten Reasons To Strengthen Your Core, Why Older Adults Need Core Strength, How To Exercise Your Core, and Strong Core Muscles Can Save Your Life.